If you’re a business, charity or organisation you should be no stranger to promoting any or all of your internal structure. Whether that is a new product, your latest promotional offer, fundraising and so on. At some point you will be involving members of the public external to your organisation. This is where custom printed wristbands can help make things easier. They are extremely popular with the public, durable, comfortable to wear and easy to brand. Not only that, they can be an extremely low cost alternative to tickets. Printed wristbands for event entry. Let’s say you are organising a launch event for your company’s latest version of a product. There’s a lot to organise for the event and one aspect is event entry. This is where custom printed wristbands can contribute. Firstly they are a great promotional tool as you can print your company message, logo or website onto the surface. You could also sell advertising space on them to your event sponsors or just brand them to fit in with the launch material. 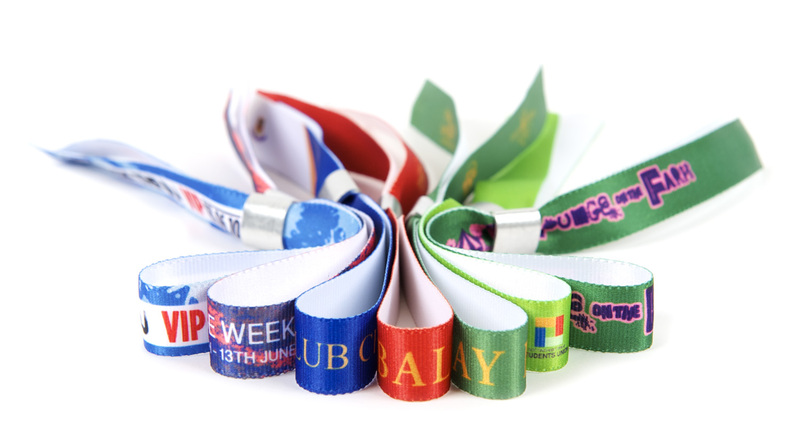 There are many colours and materials available from single use tyvek wristbands to multi-day use silicone wristbands or vinyl or fabric wristbands. In addition to the infinite branding possibilities you can also print barcodes on them. Also you can have them individually serial numbered or even have an RFID chip embedded in them. 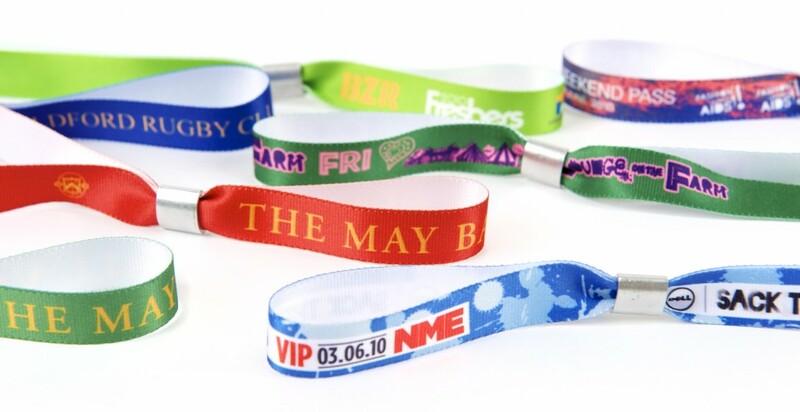 This makes custom printed wristbands or personalised slap bands also fantastic for event security streamlining. They are much more durable than tickets and don’t get lost as easily. One flash of the wrist and the wearer can quickly access any of the designated areas. They are also kept long after the event as keepsakes so your custom branding and messaging will live on long after the event has concluded. If you’re a charity you’ll be no stranger to fundraising. This is where custom printed wristbands come into their element. Charity fundraising with wristbands has been hugely successful over the past 10 years. For the most part charities have adopted the use of silicone wristbands that are uniquely branded to the charities livery. The wristbands themselves are sold for around £2 – £5 each and cost as little as 14p each depending on the requirement for printing and customisation. This is an exceptionally successful way to bring light to a charitable cause with a good margin of return. As with wristbands for events entry the wristbands are kept after the initial exchange and proudly worn long into the future.